It is high time that we accepted that the word 'pension' is toxic. That has long been suspected. So could it be that using a different word would get more people to take out a plan to pay for their retirement from work? New research commissioned by provider Irish Life shows that four out of 10 people would be more likely to take out a pension if it was just called something else. It seems there are all sorts of negative connotations associated with the word pension. These include the fact that people find the whole concept of a pension confusing and complicated. And people see the idea of a pension as far-off, something that is not due to affect them for years. Consumers are also suspicious about pensions as they see them as an opportunity for advisers and pension providers to extract high charges. Then there is the incredible complexity of all the regulations and rules associated with retirement planning. No wonder so many people would be more likely to take out a pension if it was just called something else. 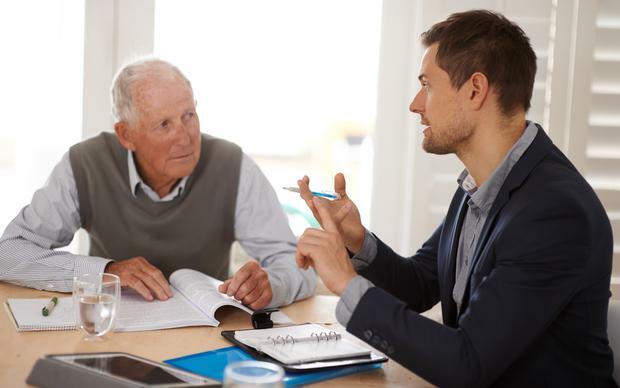 The research comes ahead of Government plans to introduce a new auto-enrolment pension for the three-quarters of private sector workers who have no supplementary retirement income plans in place. What is emerging here is the name given to the new auto-enrolment system will be key to its success. Social Protection Minister Regina Doherty is working on a plan that will aim to defuse the pension time bomb. She, like her predecessors, has promised a new system in which those who do not have a work pension are automatically enrolled into one. Past social protection ministers have ruminated on calling the new auto-enrolment system the 'Celtic Saver' or 'Shamrock Saver'. The word saver is a good one and has been used successfully in other countries. In New Zealand, the auto-enrolment system is called 'Kiwi Saver'. The British use the word 'nest'. A name like 'Savvy Saver' might be a runner here. It is not the best name, but at least it avoids using the dreaded 'P' word. Getting people to save for retirement is critically important as the population is ageing fast. Over the past five years, there has been an increase of 100,000 in the number of over 65s. This is equivalent to the population of Limerick. Despite this, Irish Life's chief executive David Harney pointed out yesterday the stark reality is that pension coverage in this country has dropped from 51pc in 2008 to 47pc last year. And for those who do have a pension, a major issue is how adequate their pension pot is, he added. The average contribution rate for those with a private pension is just 11pc, when it should be around 14pc, he said. Irish Life said that its research also shows that 35pc of the population expect to rely on the State pension as their main source of retirement income. The State pension may be relatively generous now compared with other countries. But few expect that, with a fast-ageing population, it will remain so in the years ahead. And the research, conducted by Coyne Research, also shows that people would be more inclined to take out a long-term savings plan if the Government was to pay €5 for every €10 that people saved. Irish Life, which has 1.3 million customers, said this was exactly what people get on average from pensions tax relief, but they just do not realise it. This is more proof that all the messaging around pensions is a mess. What all this means is that turning more people into 'Savvy Savers' is going to be a massive task. But the alternative, of poverty in retirement for many of us, is just too bleak to contemplate.